Preset O/P Voltage (± 10% Adjustable). Current Limit Adjustable from 5% to 110% of Specified Load Current. Load & Line Regulation: ± 0.05% max. Ripple & Noise: 1 mV (r. m. S.) Max. Protected Against Overload & Short Circuit by Means of Automatic Crossover Characteristics. 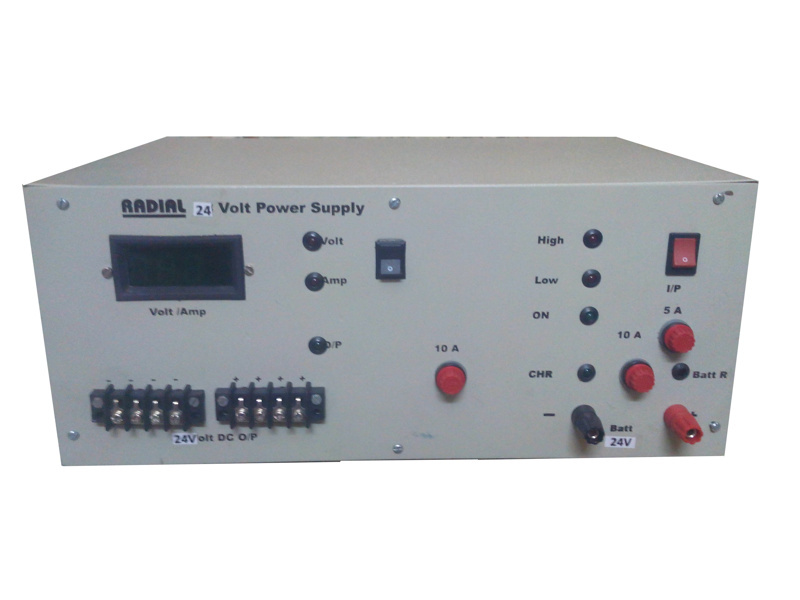 Continuous Metering of Output Voltage & Current. Input Voltage: 230V AC ±10%, 50Hz, Single Phase. Output Voltmeter (Load or Battery with Selector Switch). Output Ammeter (Load or Battery with Selector Switch). Operating Temperature Range: 0 to 55 0 C.
© 2014 Radial Industries. All Rights Reserved.